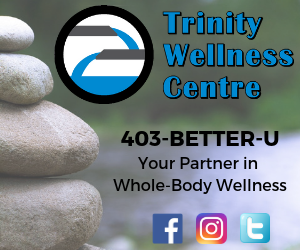 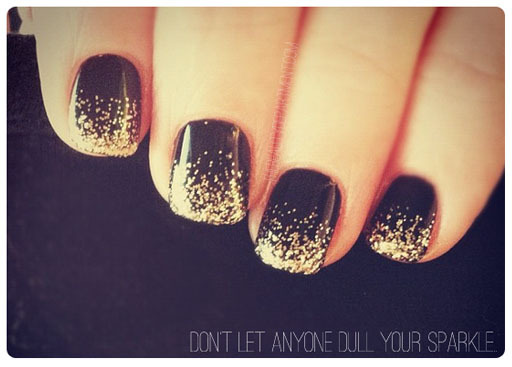 Looking for something a little softer? 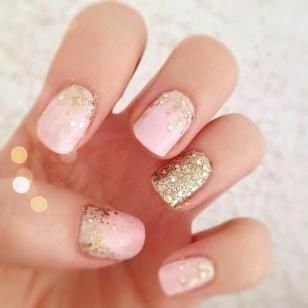 How about glittery gold and light pink. 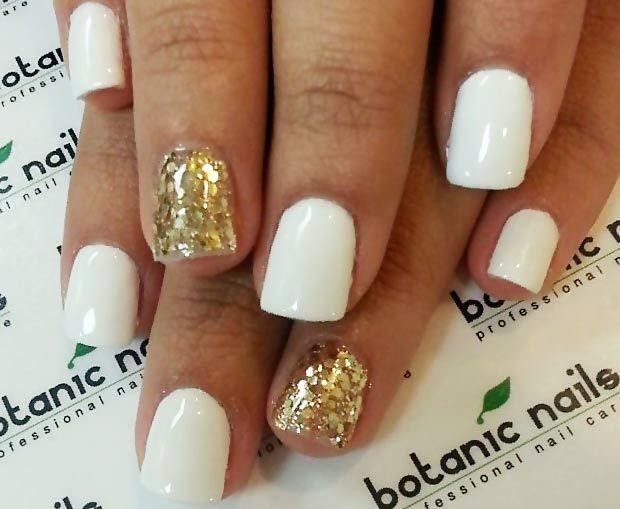 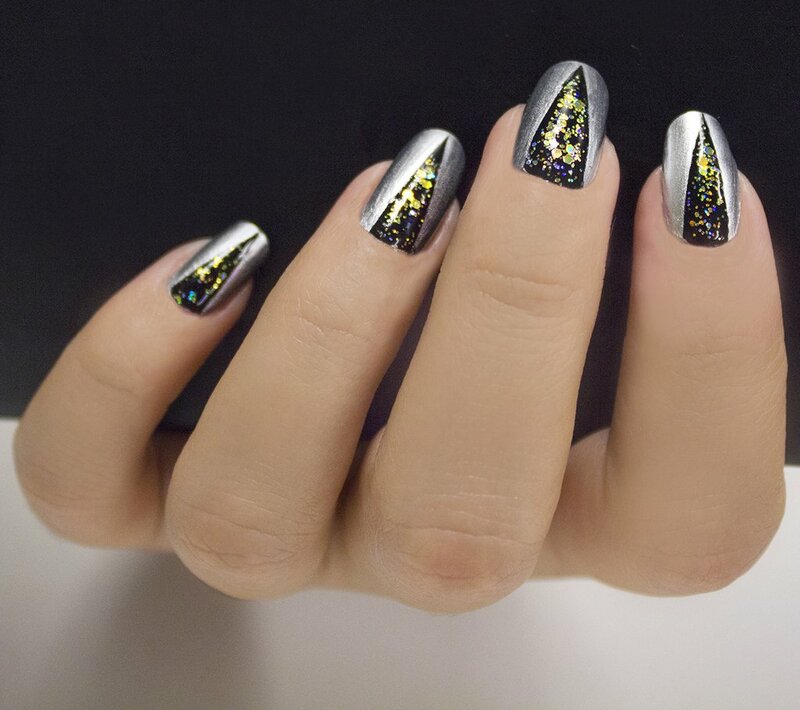 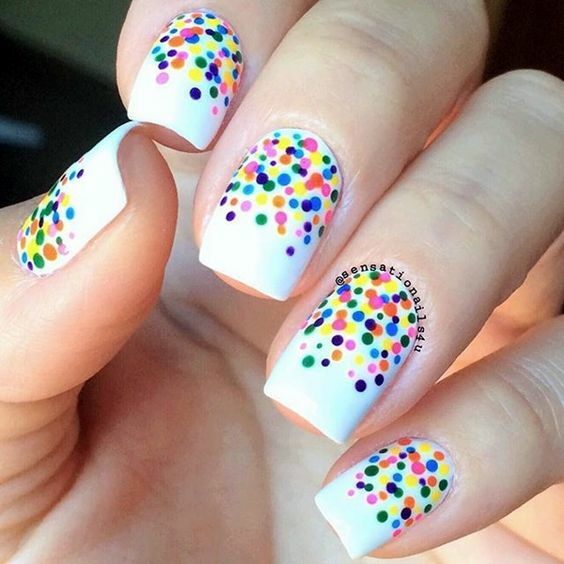 These nails bear a strong resemblance to confetti, perfect for a New Years Eve party. 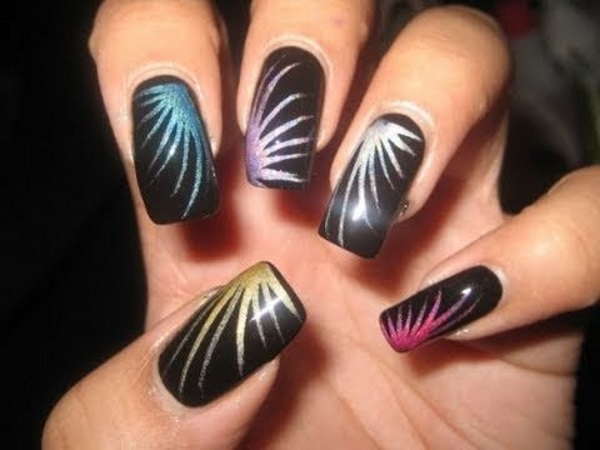 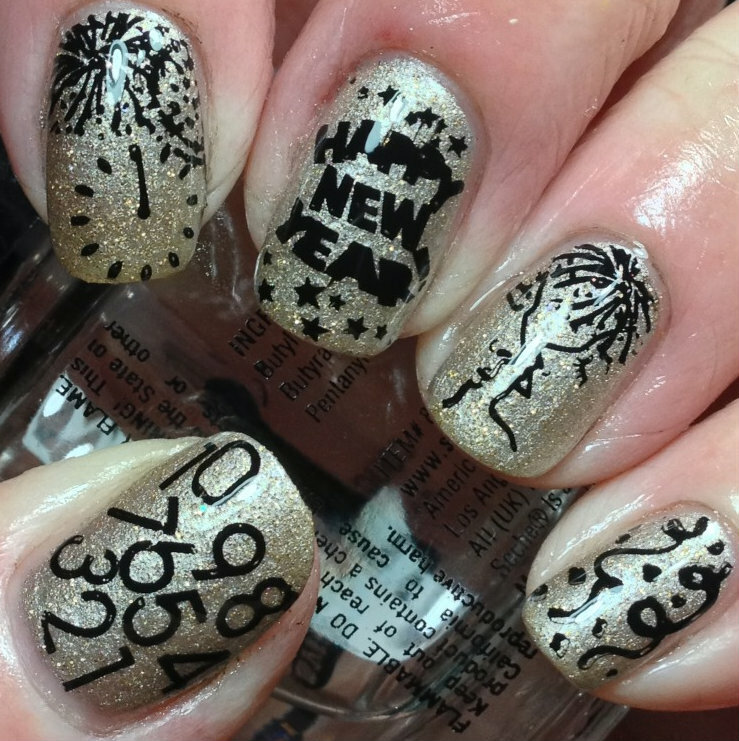 These nails scream, “Happy new years!” Literally.